Let’s start with something that may be obvious to you. Web content is different from other kinds of written content. And if you’re a small business owner, solopreneur, freelancer, or creative entrepreneur writing your own website copy, it’s important to know the difference. Especially if you’d like to get more clients, customers and sales. You may read that and think “Duh,” but I’ve had half a dozen conversations in the last week with smart writers and/or marketers who were either curious about the difference between web content and other kinds of writing, or who didn’t understand there was one. One newspaper columnist with 30 years of experience asked me how writing his weekly column was any different than writing for the web, and the PR Director of a very large organization who wants to hire a freelancer for a big web copy project bemoaned the fact that of all the experienced writers she’s interviewed recently, not one had web writing skills. So yes, there is a difference between writing for the web and writing other kinds of content, and it’s important to understand what that difference is so you can get the most traction from your own web writing and marketing. So for you small business owners, solopreneurs, freelancers, and creative entrepreneurs writing your own website copy, I’ve got 7 tips you can implement today to improve your web content to get better results in your business. But first we need to understand how people look for information on the web. The thing to keep in mind is that people on the web are typically in a hurry; they’re searching for answers to questions and solutions to problems. They quickly skim for information that meets their specific needs. And because web users don’t know who is behind the information on a web page, it’s also important to use indicators that prove you’re credible. Excellent writing is one of the things that confer trustworthiness online. I know nothing kills credibility faster for me than poor writing. Let’s be honest: bad content clumsily organized reflects poorly on your brand. For example, I could have called this blog post “The Difference Between Web and Print Content,” or some other such dull thing like that, but would you be reading it now if I did? I bet not. 7 Ways to Improve Your Web Copy Today for Better Sales instantly tells you what you’re getting and sells the benefit of reading the blog post. *Bonus Tip: Go to Amazon.com or magazines.com and read through a bunch of headlines for ideas on how to structure good ones; this is a veritable goldmine of killer headlines, and you won’t even have to get off your couch to do it. Score!! I know this may be a hard pill to swallow, but successful web content (meaning: it helps you get more customers and make more sales) is not about your business per se, it’s about the solutions you can provide for the potential client or customer who lands on your website. Company-centric web content will turn off readers. Of course your web copy is going to be about your business, your mission, and your products or services, but first and foremost it needs to clearly convey that you understand your audience and the results they want to achieve, and that you can help them get there with your product or service. At ABC Photography, we specialize in family beach portraits, beach wedding photography, bridal, maternity, newborn and senior portraits. Our goal is to provide the highest quality photography available. With over a decade of professional photography experience, we have the skills, reliability and experience needed to capture your most precious memories. If you are interested in professional photography services, please contact us to discuss your project or receive a quote. Ok, that’s boring copy (another no-no), but the main problem is that its central focus isn’t on the audience or potential customer, it’s on the company. Head Over Heels. Hi there, lovebirds. Congratulations! After the question has been popped, it’s time to eat, drink and be married. Let’s talk about The Wedding Day. Here comes the bride and here come the cliches: “This is one of the biggest days of your life.” “When the cake has been eaten, all you’ve got is the photos.” When it comes to photography, we try to avoid clichés at all costs, while honoring the truth behind them. For us, this isn’t just another wedding; it’s your wedding. We look for the thoughtful touches and shared moments that tell your story. Our photos emphasize the emotions, details, and moments that make your wedding uniquely you–your grandfather’s cuff links nestled in your bouquet; your mom’s reaction when she sees you in her old wedding dress; your end-of-the-night-get-away in a classic vintage car. (This copy comes from Millie Holloman Photography, a great example of a photography website that combines beautiful images with effective web copy that makes an emotional connection with potential clients, which is just want you want your web copy to do). The copy in example #2 connects with the reader – it speaks to what’s important to them as a potential photography client – “thoughtful touches and shared moments that tell your story” – and avoids the worn-out clichés of standard wedding photography web copy. I’m sure you’ve heard the old saw, “People buy based on emotion and justify based on logic” more than once by now. That’s because it’s true. The goal is to connect with your audience on an emotional level, and you do that by selling benefits, not features. Features have their place, but’s it’s important to lead with benefits. A feature is something your product or service is or contains, a benefit is what the product or service does or provides – the desirable results. One way to make sure you’re focusing your web copy on benefits is by painting a picture of your potential customer’s ideal outcome. As best you can, you want to get to the point quickly. Web users are on a specific mission, and if they land on your site and see they’ll have to dig through long-winded, jargon-filled web copy to find the answer to their question, they’re going to hit the back button quicker than green grass through a goose. Long-winded copy usually happens when the business owner doesn’t have a clear understanding of what their target audience really wants or needs to know, so the tendency is to mention everything related to the business in any way, or trot out lots of credentials, etc. You can avoid this by getting really clear on what your target audience wants. If you spend some time thinking about your ideal customer’s ideal outcome, you’ll be able to get right to the point and convey how your business can make their desired outcome a reality. Remember, 79% of web readers are scanning, not reading word for word, so create your content with this in mind. Think of it as the “bread crumb” approach – you lead readers organically through your content with markers like headings, subheadings, bolded text and hyperlinks to highlight the really important bits. Use short, 2-3 sentence paragraphs, and keep it to one idea per paragraph. Write the way your target audience thinks and speaks. You can do this by paying attention to your current clients and customers and noting the way they describe their challenges. There’s no need to write web content as if it were an instruction manual, yet I see this all the time. Inject some personality into it. If you know what your target audience wants, and how they think and speak, this won’t be difficult. This is obviously going to depend on your audience – an accountant is going to write web content differently than a yoga instructor. But the end result should be the same – your web content speaks directly to the desires, wants and needs of your ideal client or customer and makes them eager to do business with you. A call to action is an instruction in your copy – whether that copy is on your website, in your newsletter, on your blog, or in your ads and other sales material – that directs your audience to take a specific action. After your readers finish reading a particular piece of content on your website, there’s something you want them to do next – usually some action that gets them closer to becoming a customer. Say, clicking on a link to read more about your products or services, calling to ask for more information, visiting your store, or completing a sale. A strong call to action is essential for making this happen. To make it more powerful, you can convey a sense of urgency with phrases like, “now,” “today,” and “for a limited time,” etc. Rules are meant to be broken under the right circumstances, and you won’t always be able to follow all the advice here when creating your web copy, but apply these 7 tips where appropriate today to start getting better results in your business. And there you have it. 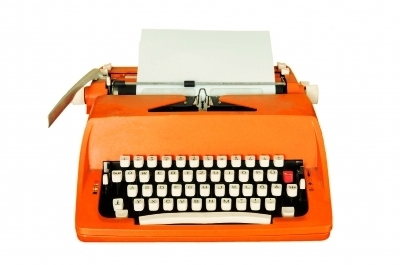 7 things you can do today to improve your web copy to get more clients, customers and sales.